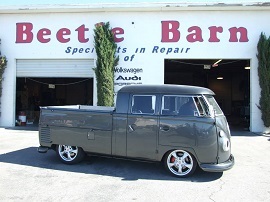 We’ve been repairing Volkswagens in Las Vegas for over 50 years. Whatever generation VW you drive, we service them all. 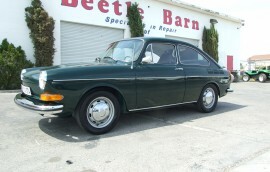 Whether you drive VW, Audi, Porsche and BMW, we are your German automotive experts in Las Vegas. Our portfolio says it all. From performance customization to classic car restoration, we’d love to take on your project. 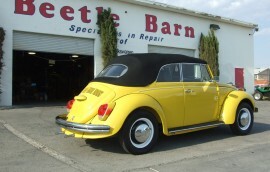 IMHO the Beetle Barn is the only place in Vegas where you can get decent work done on your bug. Don’t even think about going to anyone else in this town. Dear Justin – Thank you for fixing my 24 year old Fox!!! It’s been a loyal car & I’m happy it’s still drive-able. It’s really an experience taking the bus from Pebble Beach! It was fun! 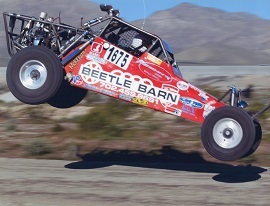 Beetle Barn Staff – I’ve been through a lot of madness with my beetle. So I came to your shop for help. Thank you for being an honest business and helping me get my car on the road properly. Your help and honesty is appreciated more than you know. May God continue to bless all of you individually and as a business. Hey Guys – Made it back to Michigan. Thanks for the help! 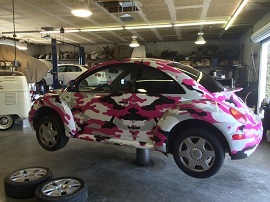 From a quick tune-up to a complete automotive "extreme make-over", the Beetle Barn of Las Vegas gets it right. Each of our service technicians take a personal interest in your vehicle. In fact, if they get it wrong, they'll be the ones who make it right. On their dime. So we're all motivated to make sure you don't come back except to visit, or for additional services. Schnell. The Beetle Barn. Das ist Gut. 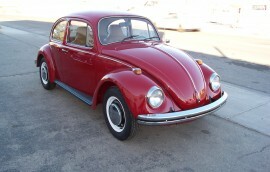 The Beetle Barn has been in continuous operation in Las Vegas since the 50's, when VW Beetles were still novelties. Since the outset, we've kept an eye out for useful and scarce components for our customers. Give us a try. Chances are good that we've got the parts you need, regardless of how rare. Count on us for the quality parts you need for your Autobahn baby. The Beetle Barn. Das ist Gut.